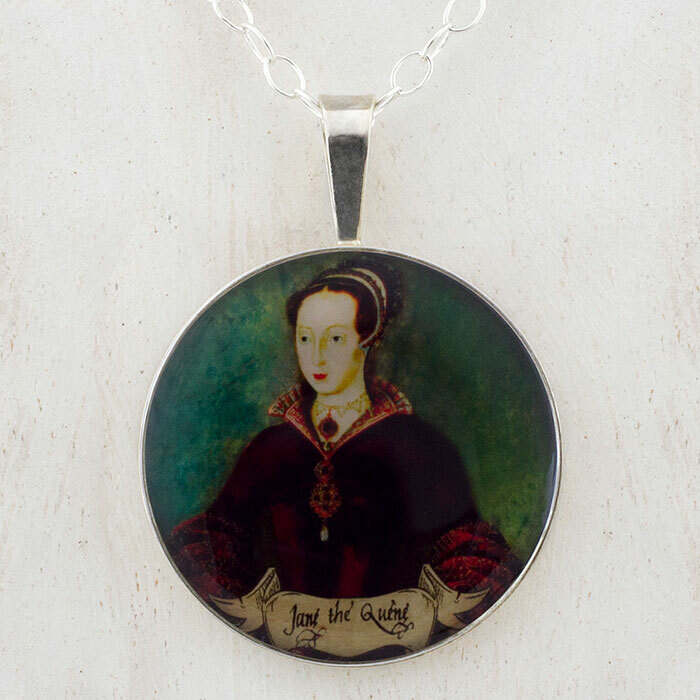 This beautiful, unique and collectible pendant features a restored image of Lady Jane Grey by Tiffini Elektra X with a decorative banner and her signature. 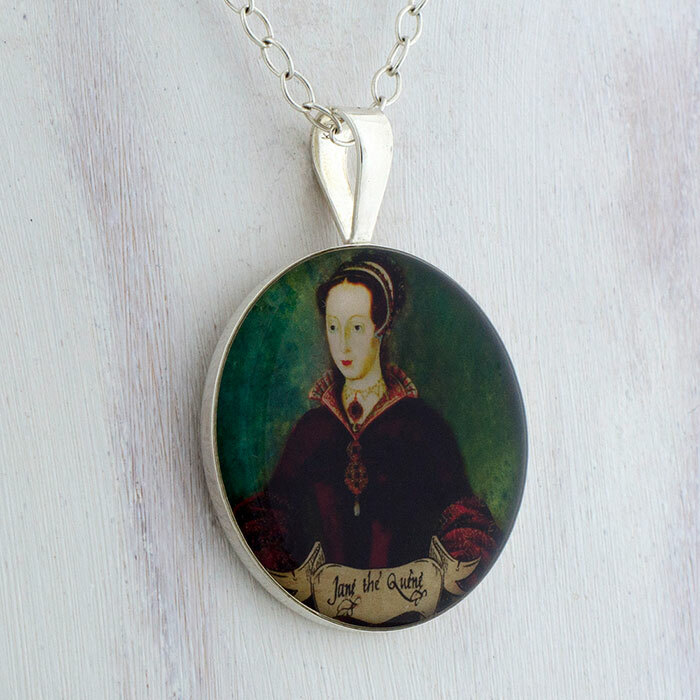 The image is from the Streatham Portrait, discovered at the beginning of the 21st century, is believed by some to be the only contemporary portraitof Lady Jane Grey. Made in Colorado, USA, by Tiffini and shipped worldwide.